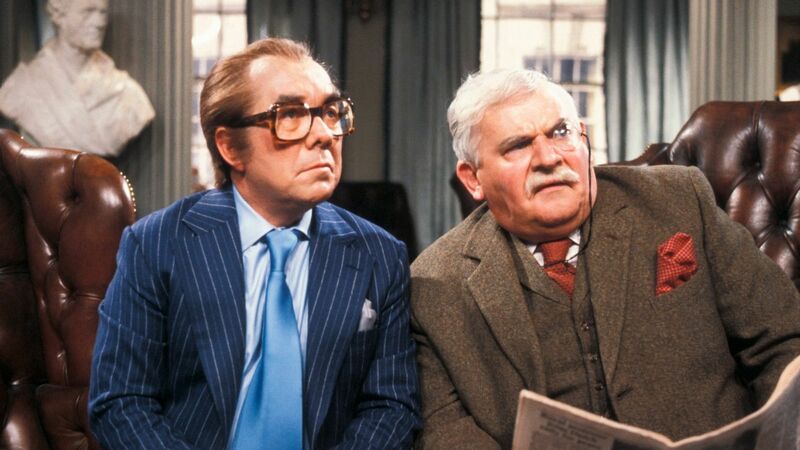 Here's where to watch every episode of The Two Ronnies season 2. Mouseover or tap an episode to see where to stream it. Click or tap the play icon to stream it on the best available service. Episode 1 Sep 16, 1972 There's a mishap at a wedding ceremony and Ronnie Corbett weaves a story about a neighbour. Spoof gumshoe serial Done to Death kicks off with Piggy Malone and Charlie Farley investigating a wealthy woman's murder. Georgie Fame, Alan Price and Elaine Delmar provide the music. Episode 2 Sep 23, 1972 Sketches include a man taking his driving test and a parody of traditional Welsh tunes. Ronnie Corbett makes an astonishing claim in his monologue. Georgie Fame, Alan Price and Friday Brown provide the music. Episode 3 Sep 30, 1972 The duo put a comedic spin on Bizet's Carmen and two party guests try to ignore idle gossip. Meanwhile, in Done to Death, there's another dead body to confuse Piggy and Charlie. Chelsea Brown joins musical regulars Georgie Fame and Alan Price. Episode 4 Oct 7, 1972 Two men change into some unexpected items of clothing once the working day is over. Plus the two Ronnies poke fun at Russian folk songs. Thelma Houston joins Georgie Fame and Alan Price in the musical line-up. Episode 5 Oct 14, 1972 Old friends reminisce at a school reunion, a newsreader has to fill time when there are no stories to report - and the duo decide Strauss waltzes are ripe for a little parody. Georgie Fame, Alan Price and Lynsey De Paul provide the songs. Episode 6 Oct 21, 1972 A man's attempt to buy a pet is harder than it should be. In the musical finale some historical figures, including Queen Victoria and John Brown, burst into song. Episode 7 Oct 28, 1972 Big Jim Jehosophat and Fat-Belly Jones return to sing in the musical finale. In the penultimate episode of Done to Death, Blanche becomes the prime suspect in the murder case. Samantha Jones joins Georgie Fame and Alan Price in the musical line-up. Christmas Night with the Stars: Special Short Nov 4, 1972 Sketches include Post-hypnotic Suggestion and Vicar Heckler. In the last instalment of Done to Death, Piggy and Charlie lay a trap for the killer. The musical finale sees the duo pay tribute to ballroom dancing. Georgie Fame, Alan Price and Salena Jones provide the music. 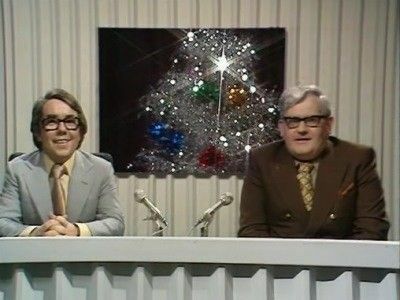 Christmas Night with the Stars: Special Short Ronnie Barker and Ronnie Corbett star in a special Christmas programme of sketches, jokes and songs with special guest Cilla Black featuring The Young Generation, Lulu, Mike Yarwood, Adrienne Posta, The Liver Birds, The Goodies and Dad's Army.